VolunteerHub partners with some of the top brands in the nonprofit industry. As a Blackbaud Technology Partner, our volunteer management software extends Blackbaud’s suite of CRMs by connecting volunteer and donor records. Through our partnership, Blackbaud has validated VolunteerHub’s compatibility with Blackbaud’s suite of CRMs. Training your volunteers is as important as training your employees. VolunteerHub has partnered with Comevo to bring you a best-in-class learning management portal for training and onboarding volunteers. 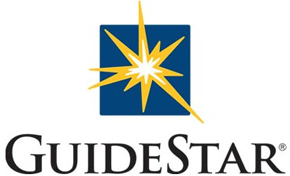 GuideStar and VolunteerHub have partnered up to bring you the “Volunteer Corner” blog. Stay up to date on the latest tips and best practices for building trust with volunteers. Trak-1 offers affordable, convenient, and reliable background screening services. VolunteerHub customers gain peace of mind knowing their volunteers are who they say they are. VolunteerHub customers get a 12% discount on Trak-1 services.